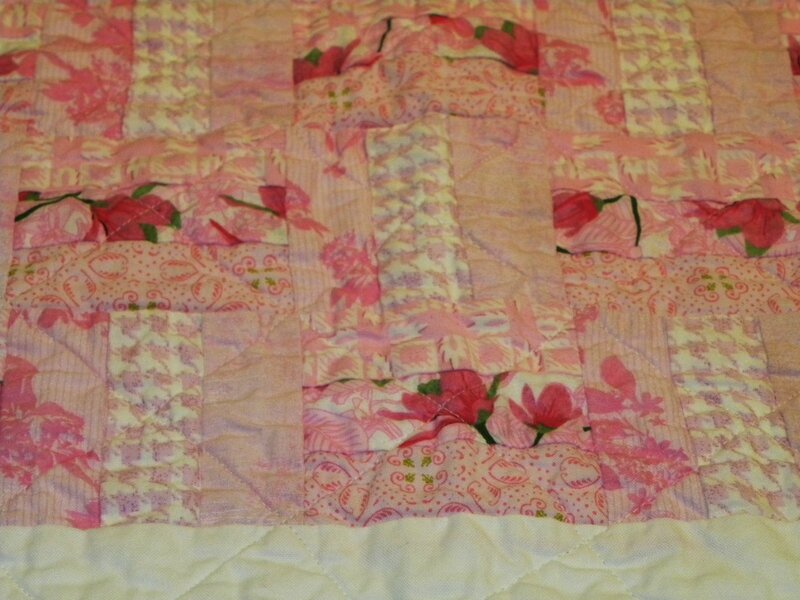 One of the most exciting things about this quilt is that it was made 100% from stash! This is a first for me (in quilt-making, that is! 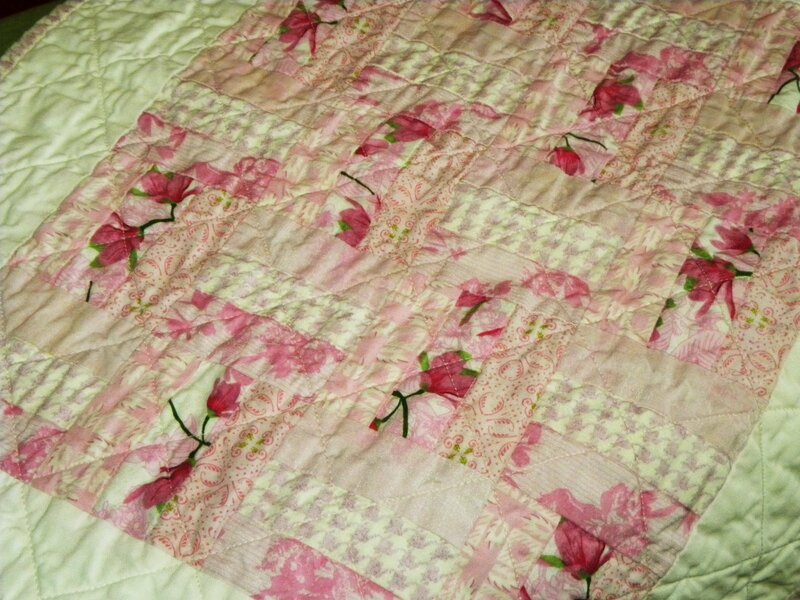 ), as I’m a relatively new quilter/sewer. I used some of my leftover Sultry honey bun strips from this project. I sewed two groups of 3 strips together, cut them into 3.5 inch blocks, and then alternated them to get this sort of basketweave look. It’s a style that I’ve wanted to replicate since seeing it done here. 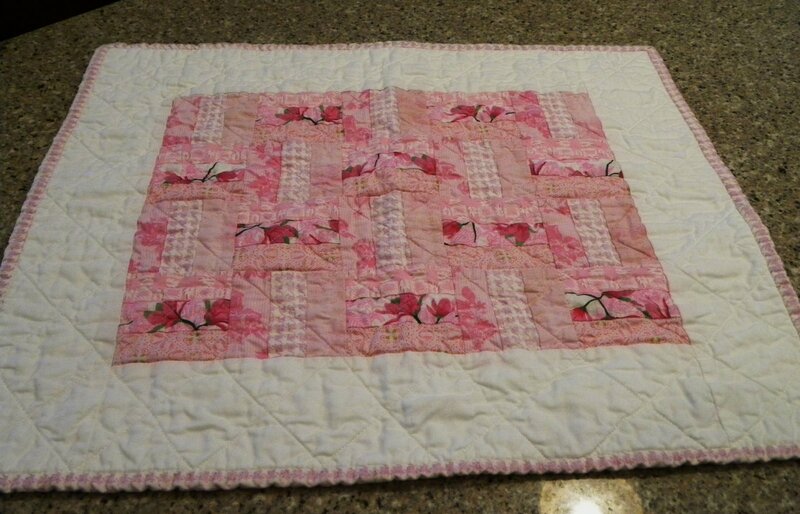 I have also wanted to do some cross-hatch quilting, so I did both with this one and it turned out pretty cute! The back is just plain white, same as the border. 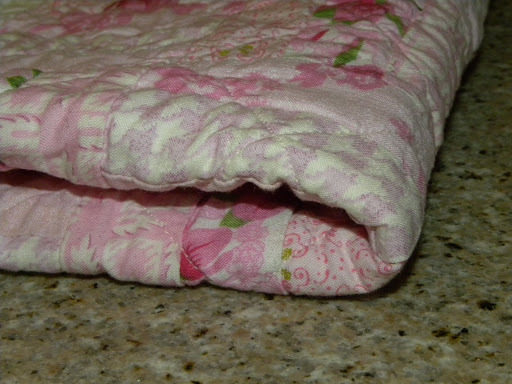 I think that Hailey’s dolls will feel very luxurious with their new bedding, don’t you?